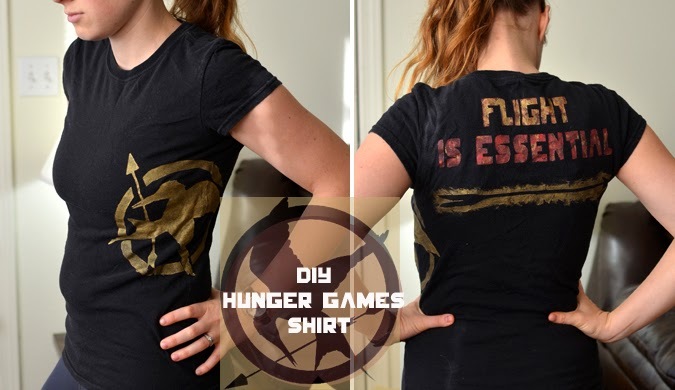 ' Hunger Games Shirts - Sisters, What! Are you going to Catching Fire this Weekend? Wish we were, but maybe over Thanksgiving. For the first movie I made this shirt. I actually wear it when I run. Seriously, best running shirt ever. Now if it only made me faster. :: Fabric paint or you can get regular acrylic craft paint and a fabric paint medium (I think this works best and is cheaper then fabric paint). //1// Save the images to your photo program or just microsoft. 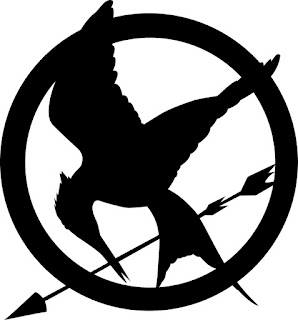 Also make sure to download the Hunger Games Font. Then decide the size you want it on your shirt and then print out.